The Aquatic Sports Association of Malta administers swimming, diving, water polo and synchronized swimming. In recent years the ASA have hosted the Mediterranean Cup Swimming Meet, the European Open Water Series and the annual Easter International Swimming Meet. In 2017 Malta hosted the European Junior Swimming Championships and the Mediterranean Synchronised Swimming Cup. 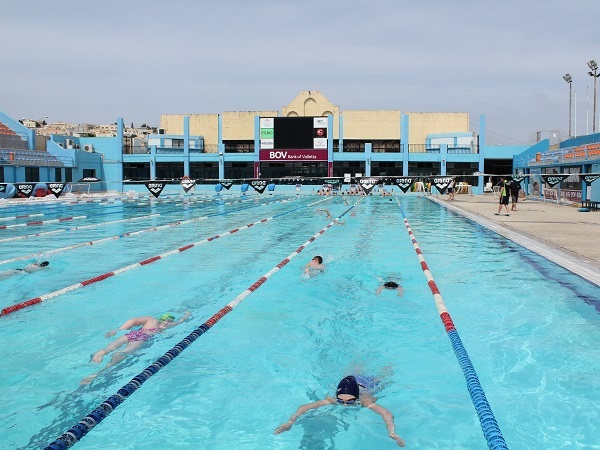 Malta's unrivaled climate makes it an ideal year-round destination for swimming training camps and competitions. Swimmers can enjoy heated outdoor swimming throughout the year with lanes available from 06:00 to 22:00 hours. The 5-day Easter Swimming Meet caters for swimmers from 12 years of age. Malta is a popular choice for swimming clubs from all over Europe with winter and spring temperatures ranging between 15-25 celsius. The National Swimming Complex is the headquarters of the Maltese Olympic Committee and offers a heated 50 metre Olympic swimming pool and a 25 metre diving pool. This modern facility is ideal for international training camps with a fully-equiped gymnasium, spacious changing rooms and conference room availability. Book your swimming travel package today with MaltaSportsTours.com!